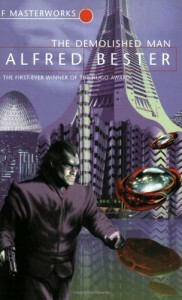 The Demolished Man - Alfred Bester - review - Likest thou jelly within thy doughnut? Jeez, Freudian theory much. I'm not sure what to think of this book. It's quite short and a quick read really but still took me two days to finish. I understand it's a scifi classic, and Bester certainly does a good job at painting a fantastic future. Still, some things bugged me. For a novel that is supposed to be ahead of its time, it completely lacks any feminism. The women in the book are never really called women. The term most used is girls, almost all the time in connection with the word pretty. Especially the relationship between Powell and Barbara was creepy. "his girl" "daddy" all that kind of crap. Paints a classic picture of many men liking their "girls" young, innocent, damsell-in-distress-ish, obediant and submissive. Yes, that bugs me. 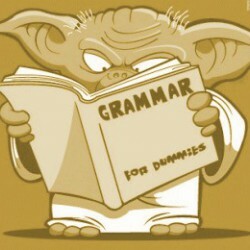 Sue me. The whole Ben killing his father resolution was foreseeable. I had the feeling pretty early on where this was going, and who the man without a face was. Mostly, the book was making me anxious because of Ben's frantic and psychotic actions and personality. Besides that, he was a real jerk. So was Powell. Well actually all male characters in that book were either jerks or some spineless cowards that got yanked around by either Ben or Lincoln. The idea itself of a world where there are many telepaths was interesting nonetheless. I liked that. Also the whole moral analysis of mankind raising themselves above such things as death sentence etc. was pretty good. Still, a book I have read and probably won't pick up again.